According to the press-center of the Balakovskaya NPP (See Picture) on Monday April 9 2012 the Center for Public Information launched a website, the visitors of which can make a virtual tour around the nuclear power plant. The description of the website www.balatom.ru says that “The visitors of the website are particularly attracted by the unique tour around the NPP with the virtual guide. Anyone can now visit the premises of the supervised zone, which even the employees of the plane have nor been to yet”. The Center for Public Information specifies, that the virtual route of the tour around the plant includes the most interesting objects. The visitors can see the central room of the reactor compartment of the generating set, unit control room, the turbine hall with the giant turbine, the safety systems rooms in the auxiliary building of the reactor compartment as well as the chemical laboratory. 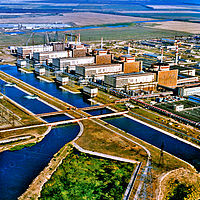 “The three-dimensional panorama will also show the visitors the Center for Public Information of the nuclear power plant, which is rightly considered to be the visiting card of the plant”, — the description says. One of the sections of the website if the Internet-office of the director of the plant Viktor Ignatov. The visitors are given the possibility to ask the director “any question relating both to the operation of the NPP as such and the development of the nuclear industry in Russia as a whole”. The website provides the review of the history of the Balakovskaya nuclear power plant, the main peculiarities of its operation, gives the possibility of assessing the radiation situation in the area of the nuclear plant location. The news section of the website shows all the actual information on the NPP operation. One of the closest perspectives in the development of the web resource is launching the children’s section. “Very soon the website will get the children’s section, which will allow the youngest visitors to learn a lot of interesting facts about the nuclear industry and the Balakovskaya NPP, about providing safety in its operation in the form of a game”. It should be reminded that the Balakovskaya NPP is a branch of OJSC Rosenergoatom Concern, 100% of shares of which belong to OJSC Atomenergoprom. The structure of the plant includes four generating units with the upgraded reactors VVER-1000, each of them having the installed capacity of 1000 MW. The first of the generating unit was commissioned in 1985, the second one started its operation in 1987, the third one has been in operation since 1988, and the fourth one – since 1994.